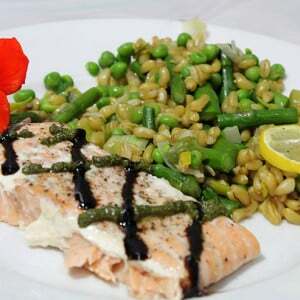 Patricia K. Rose launched Fresh Food in a Flash in 2010 to teach others that cooking with fresh ingredients can be easy, quick and fun, plus save money. She attended culinary school while selling advertising for McCall’s magazine and has been teaching cooking classes for nearly 20 years. Sign up for one of her monthly cooking classes or learn from her recipes with step-by-step photos at FreshFoodinaFlash.com, or connect with her on Facebook, Pinterest, and Twitter. 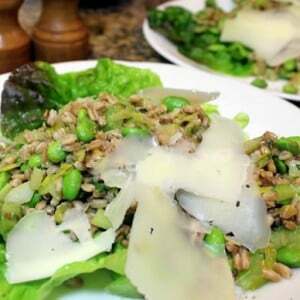 This recipe for an Italian Farro Salad with Favas or Soybeans is the perfect combination of an authentic Italian dish with lots of flavor that is both fresh and healthy.